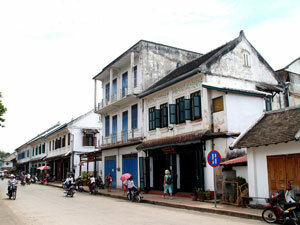 Vientiane is the centre of governance, foreign relations and commerce in the country. It houses government offices, embassies and consulates and headquarters of multinational companies. You can find global banks, top retailers and international schools in the capital. Effective April 1, 2015, the minimum wage in Laos is LAK 900 000 or USD 111 per month. This rate is based on the monthly expenses of an average Lao household. Assignees on an expat package from their company in their home country are typically earning way above the minimum wage. The compensation of expats who have found job locally greatly varies – from Western-rate for executives to Lao-rate for interns. Expats can also make extra money by teaching English. Under the new Laos labour law (amended in 2013), the normal hours of work are eight hours a day, six days a week or a total of 48 hours per week. Every worker should get a 24-hour day-off every week. Employers may only require employees to render overtime work under extraordinary circumstances such as during natural calamities or to repair damage to goods or business facilities after a calamity. The maximum allowable hours for overtime work is three hours per day, or 45 hours per month. No employee should render overtime work for more than four consecutive days, except during a natural calamity. If an employer needs people to render overtime hours beyond those allowed by law, it’s required to submit a request to the Labour Administration Agency and either the trade union, employee’s representative or the majority of employees in the unit. Full-time employees are entitled to 30 days paid sick leaves per year, on presentation of a valid medical certificate. Those who have rendered services for one full year enjoy 15 days of paid vacation leaves per year. If the employee is unable to use the allotted vacation leaves by fault of the employer, the employee shall receive the cash equivalent of such unused leaves. Under Lao laws, an employment contract for foreigners in Laos can only be for a maximum of five years. Employers who wish to extend the contract should submit a request to the Labour Administration Authority. The above tax rate table applies to employment contracts signed on or after the issuance of Presidential Ordinance No. 001 (March 1, 2011). If you signed your employment contract before Presidential Ordinance No. 001 and you’re under an indefinite-term contract with a concession project company, you’re entitled to a PIT of 10 per cent until the end of your contract. If you’re under a fixed-term employment contract, you can enjoy the 10 per cent PIT during your employment. All contracts that expire and renewed on or after the ordinance must company with the progressive tax rates above. Most expat workers in Vientiane, and most parts of Laos, are hired by foreign companies. Many are employed in embassies, consulates and international Organisations such as the WHO or UN. Interns and volunteers sometimes seek income as English teachers. The best way to find work in Laos is via the headquarters of these foreign entities. There are job sites you can visit, especially for teaching jobs, but very few actually respond. You can also try inquiring through your embassy or consulate as these usually keep a list of job vacancies for their citizens abroad. Working in a foreign country can be overwhelming for some. They can’t be blamed for worrying about language barriers and committing faux pas while on the job. Laos, although a small country, has a diverse population of various customs and practices. The lowland Lao abide by traditions of Buddhism while many upland peoples, including the Hmong, still practice traditional shamanic rituals. A study by Kumamoto University suggests that the root cause of clashes between Lao and expats is unclear communication style. “Often the expats would resort to the ‘you know what I mean’ communication style leaving no room for further discussion…The locals, on the other hand, lack the necessary cultural literacy,” according to Dr. Fumiaki Yasukawa. The locals, then, can be “unfairly unreceptive and intolerable to the unfamiliarity”. As a foreigner, it’s just fair that you exert efforts to understand even the basics of the Lao language. You should also strive to understand local customs and practices. In greeting a colleague, you can do the prayer-like gesture (“phanom” or “wai”), or a business-like handshake. Lightweight tropical suits for both men and women are acceptable in office settings considering the tropical climate in the country. Avoid revealing clothes even in informal occasions as the country has a conservative society.